A business strategy is a plan of action that is designed to achieve goals that are set by a business or company. These goals and objectives are part of the planning and organizing process which will helps companies set goals and objectives for long-term growth and development (reference.com). As a business owner or management, you want to have a strategy or plan so that in the future there can be business growth. To become a success, managers use strategies to beat out their competition. For example, “businesses attempt to drive competitors out of the market by consistently using price strategies designed to win over customers” (smallbusiness.chron). When I think about price strategies, I think about Amazon and how you are given options to buy from a cheaper company also Amazon Prime is convenient for frequent Amazon shoppers. When coming up with a business strategy, you want to gather the correct information to take the right course of action for reaching goals and objectives which is called a strategy formulation process. The stages are goal-setting, analysis, strategy information, strategy implementation and monitoring. Setting a goal will clarify the business vision statement to help a business meet its objectives which will lead their mission. Gathering and analyzing information focuses on understanding the needs of the business. Once that information is gathered, form a strategy and determine what resources are needed to help with reaching goals and achieving objectives. Take action by implementing the strategy process, then evaluate the strategy. Strategy evaluation will determine if the strategy is moving toward the company goals. It is important for a business to have a vision, mission, purpose, philosophy and goals. All of these ties into one another because it all boils down to the explanation of the purpose of a business. The vision statement briefly describes what and where a business would like to be in the future. The mission statement simply describes what a business does on a daily and their purpose. “Business strategy is required to deal with the complexities and constraints of a business” (hierarchystructure.com). 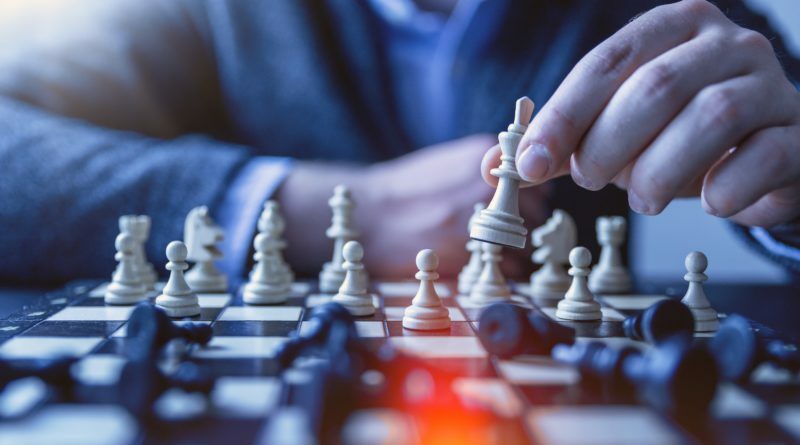 Having a business strategy is helpful because it ensures employees understand and stay focused on the company’s goals, objectives and business activities. The management strategy hierarchy is important and a requirement to a business and its success. There are three levels in the decision-making process: corporate level, business level and operational level. The corporate level focuses on setting goals and creating plans for the company to take it in the right direction. The business completes the firm’s goals. The business level deals directly with production, marketing, finance or operations of the business. The operational level contributes to the functional objectives of the organization. Management is an important part of putting together a business strategy because they set the goals for a company by coming up with strategic objectives, the scope leading up to the competitive advantage. In a business, you want to have a strategy to improve profits by selling products for a lesser or equal price and a product that is different but of good quality which can be both beneficial and bad for business. “Any company that tries to beat competitors by offering a product for a lower price employs the cost leadership strategy” (smallbusiness.chron.com). The pro to cost and differentiation is when charging a lower price, the demand and sale of a product goes up. The con to cost and differentiation is that the competition can steal your idea and you will not be much competition to your competitor. For example, Walmart is known for their low prices. They also compete with their competitor’s by matching prices or sell their products for a cheaper price. “Walmart uses its massive buying power to force supplier companies to become more efficient and sell products at a low price all the time” (smallbusiness.chron.com).